Another Motorhome Ban? - Why is this Happening? Another Motorhome Ban? – Why is this Happening? 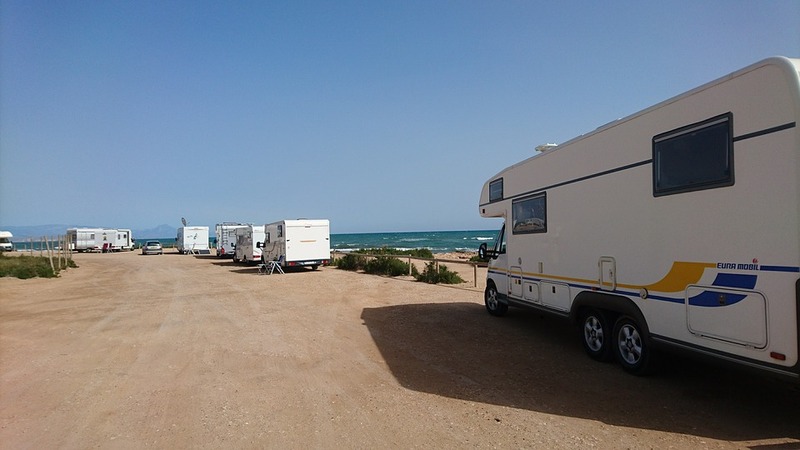 In the news this year, we’ve seen numerous bans on Motorhomes in and around tourist hotspots as local councils take action against motorhome drivers parking and camping at popular locations. A motorhome ban is nothing new, councils have the power to impose traffic orders as the needs arise and in response to local concerns. 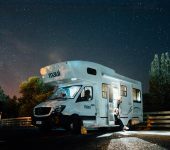 This year, however, there have been a few newsworthy cases of campervan and motorhome bans being either considered or imposed, to add to the list of bans already in place elsewhere. From the start of August this year, the picturesque North Yorkshire seaside town of Whitby has imposed parking bans between 11 at night to 7 in the morning in an attempt to prevent motorhome owners from parking up and camping overnight. Complaints from local residents about motorhomes include blocking the view for others, of an increase in littering and taking up spaces which force car users to park all over the town. On the other side of the argument, those involved in local tourism opposed the van pointing out that in tough financial times, nothing should be done which discourages people from visiting the town. Exmouth in Devon has a long sandy beach blessed with golden sands, making it a welcoming place for anyone looking for a seaside break. However, since last year, this popular seaside destination has become less welcoming for those travelling in motorhomes and campervans as the local council have moved to ban such vehicles from parking camping on the seafront. As with Whitby, the ban follows numerous complaints over many years that motorhomes and campervans camping for a few days on the seafront spoiled the view and take up too much space, despite the fact that a motorhome parked on the seafront can overhang the exceptionally wide pavement without causing an obstruction and fit within marked parking bays. The motorhome ban stated from Easter this year and being trailed for two years along with the provision of parking spaces elsewhere. Located near Porthmadog in NorthWales, Morfa Bychan beach (locally known as Black Rock Sands) is a sandy beach which is a popular spot for tourists and has sand dunes which are a site of special scientific interest. Following reports that up to 70 motorhomes at a time were descending upon the beauty spot, parking overnight and had been reported emptying toilets onto the sand or into public toilets. The Council are now considering taking action, including increasing the charge for motorhomes accessing the beach and amending local laws to ban overnight parking entirely. 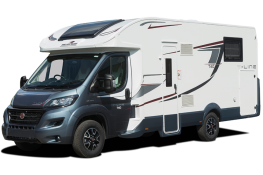 In the UK we don’t have the expansive system of Motorhome Aires seen elsewhere in Europe, so finding places to park overnight outside purpose designed campsites can sometimes be a challenge. 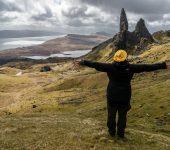 The Scottish rules on Wild Camping are far more relaxed than south of the border and there’s no absolute right to park on the highway – you can be asked to move on at any time if deemed to be causing a nuisance or an obstruction. 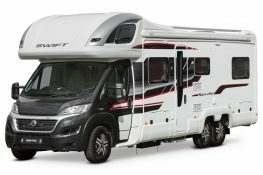 There will always be people who object to the presence of motorhomes, no matter how unobtrusively we park, but if we all take care to park carefully and behave considerately, we reduce the likelihood of seeing more councils imposing a motorhome ban in other places we might like to visit. 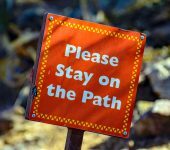 Compared with other countries, the takeup of motorhome travel in the UK is still in its infancy, but the trend for motorhoming is increasing with every passing year, so, more than ever, it’s important that Council make provisions for this, but equally, we should all do our best to make sure that we don’t give ‘Nimby’s an excuse to lobby for our peaceful enjoyment to be restricted.